Both globally and domestically, maternal health and the standing of women are inextricably linked. If women do not have the means and access to give birth safely, with trained and educated midwives, physicians and nurses, with appropriate prenatal education and care, it is often indicative of the standing of women in their communities and countries overall. Women’s inequality is also linked to the soaring population growth in developing countries, which will pose a range of new challenges for the next few generations. 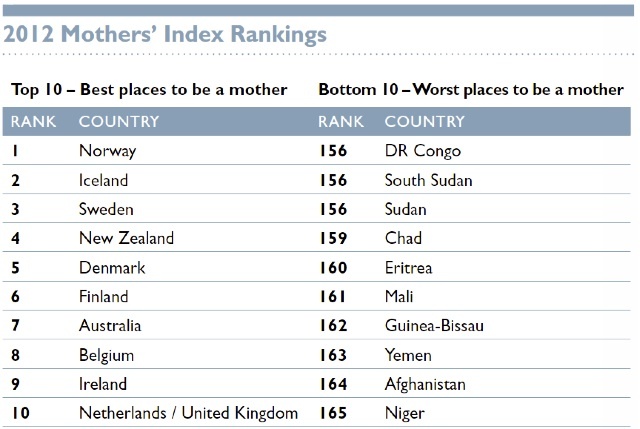 Some may point to the United States as an anomaly, citing women’s increasing economic and financial independence, education, and leadership roles in America, while in terms of maternal health rankings, we remain pathetically far down the line for our resources (49 other countries are safer places to give birth than the U.S. – despite us spending more money on healthcare than anywhere else). Of course, the recent and incessant attacks on allowing women to access credible, accurate, up-to-date and comprehensive sexual and reproductive health education and services makes this statistic not entirely…surprising, shall we say. I think these images and graphs are particularly moving given one of the top health stories coming out of the New York Times today, which showed that a recent Johns Hopkins study indicated meeting the contraception needs of women in developing countries could reduce maternal mortality (and thereby increase the standing of women in many of the nations doing poorly in the above ranking) globally by a third. When looking at the countries in the infographic that have low rates of using modern contraception and the correlation between that and their ranking in terms of status of women, it’s not surprising what the JH researchers found. Many of the countries farther down in the rankings have rates below 50%, and for those countries filling the bottom 25 slots, none of them even reach a rate that is a third of the population in terms of contraceptive use – which of course in most cases has to do with availability, not choice. Wonderfully, the Gates Foundation yesterday announced that they would be donating $1 billion to increase the access to contraceptives in developing countries. Also of note, and in relation to maternal and newborn health, is a new study recently published by Mailman researchers that showed PEPFAR funded programs in sub-Saharan Africa increased access to healthcare facilities for women (particularly important for this region, as 50% of maternal deaths occur there), thereby increasing the number of births occurring in these facilities – reducing the avoidable (and sometimes inevitable) complications from labor and delivery, decreasing the chance of infection and increasing treatment if contracted. This has clear implications for children as well (and why I think this study relates to the National Post infographic and the NY Times article), since newborns are also able to be assessed by trained healthcare workers and potentially life-threatening conditions averted – including HIV, if the newborns have HIV+ mothers and need early anti-retroviral treatment and a relationship with a healthcare worker and system. And it goes without saying that if a new mother is struggling with post-delivery healthcare issues, including abscesses and fistulas, or was dealing with a high-risk pre-labor condition like preeclampsia, the child will have an increasingly difficult early life, perhaps even a motherless one. 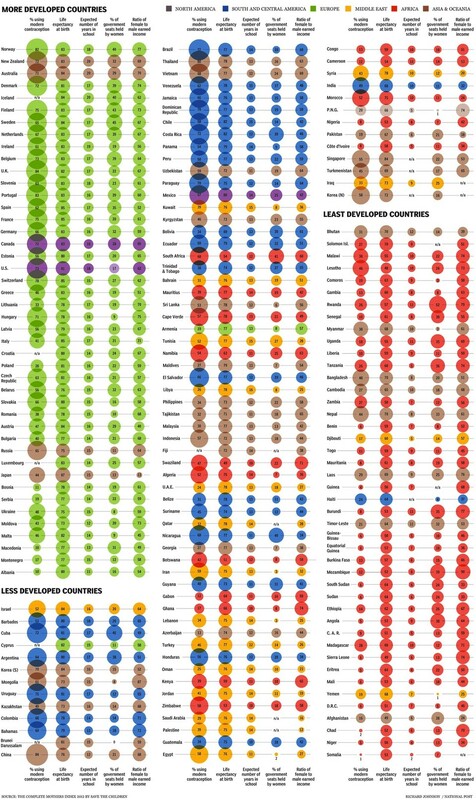 That’s a very cool infographic.